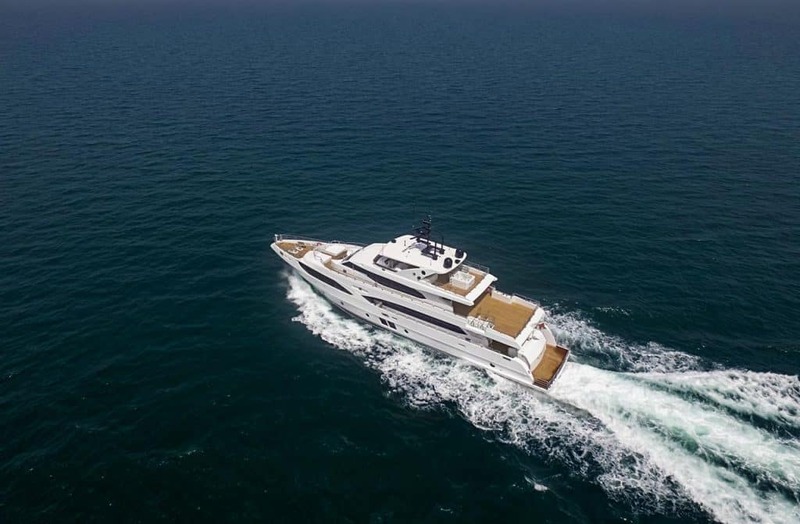 In line with its vision to evolve as a pioneering shipyard, Gulf Craft ups its game with the evolution of the timeless Majesty 125 superyacht M/Y AltaVita, as it delivers the next level of perfection. A real standout in its class, the latest Majesty 125 is the sixth in the series to be built and the third to be delivered in Europe. Balanced by a striking bow character, stylish triple decks and a beautifully designed exterior, the superyacht features an excellent use of outdoor spaces with entertainment and lounging areas both fore and aft. AltaVita features a ‘walk-around upper deck’ for that extra level of comfort and privacy. An embodiment of quintessential outdoor lifestyle, Majesty 125’s spacious sundeck features a curved wet bar and Jacuzzi along with a balcony on the side of the main saloon. The Majesty 125 is a true engineering feat, with technical features like Zero Speed Stabilization, Fuel Purification System and a Fresh Water Treatment System that raise the bar even higher in terms of safety and longer cruising journeys.